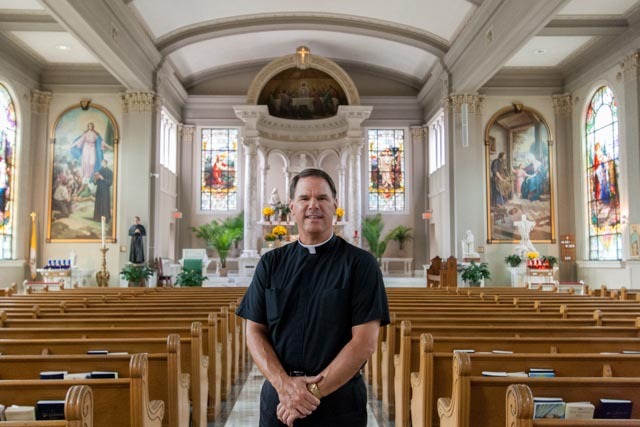 The hallmark of Monsignor Ketcham's tenure at St. John's Catholic Newman Center was joyful community, especially as embodied through the continued success of the Koinonia reteat ministry. In honor of Msgr. Ketcham's memory and legacy, gifts may be made to the Ketcham Community Fund. Gifts to this fund will sustain his lasting legacy through support and scholarships to the Koinonia retreat program for Catholic Illini now and in the future. As chaplain of SJCNC, Msgr. Ketcham maintained a dream that the cost of attending a Koinonia weekend could be reduced to $0 for Catholic Illini seeking to discover how Jesus reigns in their lives. Thus fund will help that dream become a reality for future Catholic Illini.